The title of the exhibition refers to the most widely exported television series made in Canada. 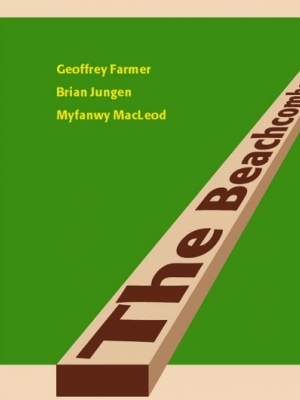 Shot in British Columbia during the 1970s and '80s, the sitcom followed the life stories of a multicultural cast of characters who made their living salvaging runaway logs along the BC coastline. This group of artists are beachcombers of popular culture, taking inspiration both in subject matter and form from the regional and global culture that surrounds them. 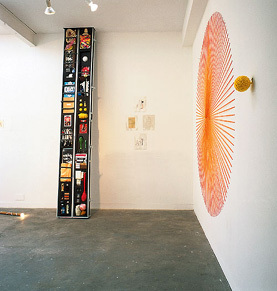 The work is hybrid - they share a humorous attitude and a lightness of touch that distinguishes them from an older generation of Vancouver artists. The exhibition is supported by the Arts Council of England and the Canadian High Commission. often takes film as his subject matter, in order to explore the personal, intellectual, sexual and humorous aspects of a production and its' social reception. In his work, Hunchback Kit 2000, he uses his long standing fascination for the 'Hunchback of Notre Dame', to create a collection of more than ninety items examining the improbable question of monstrous beauty. 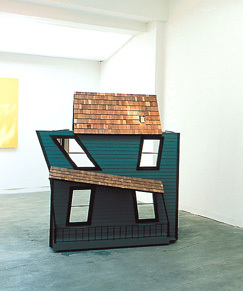 Farmer has exhibited extensively in Canada including solo exhibitions at the Vancouver Contemporary Art Gallery, 2002 and Catriona Jeffries Gallery, 2000. He has also participated in the Melbourne International Biennale, 1998.
often examines his own history - that of the Canadian Aboriginal people - in his work. Early drawings explore perceived, stereotyped imagery of Native people. In a recent project he deconstructs Nike Trainers, and remakes them into startling recreations of aboriginal Northwest Coast masks, transforming one cultural icon to another. 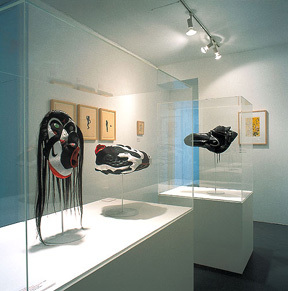 Jungen's recent exhibitions include: Shapeshifter, Or Gallery, Vancouver, 2000 and a group exhibition at the Power Plant, Toronto, 2002.
uses characteristic humour, combined with sharp wit, to explore the world of cartoon and filmic imagery. She engages self help books, film comedy and consumer experience to shape an ambivalent mock therapy, using video, drawings and sculpture. In twelve rapidly executed drawings, MacLeod quotes comic film fragments from silent movies which are then simplified and translated to take the form of subtly ambiguous and humorous cartoons. 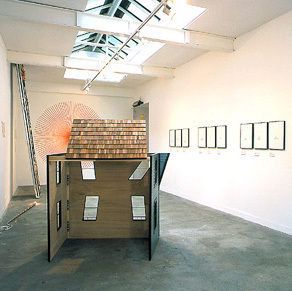 MacLeod's recent solo exhibitions include: Miss Moonshine, Catriona Jeffries Gallery, 2001 and How not to be seen, VTO Gallery, London, 2000 and a group exhibition at the Power Plant, Toronto, 2002.